By now I’m sure you’ve heard about The Secret (thesecret.tv) and The Law of Attraction (Esther Hicks and Michael Losier). If you have then you know that knowing the Secret and Applying the Secret are two different things. If you haven’t, then you’re about to embark upon a journey that can change your life, the way you want it to be. It is thoroughly based upon cutting edge modern science and technology (holographic and quantum physics) and has been scientifically proven in laboratory experiments. 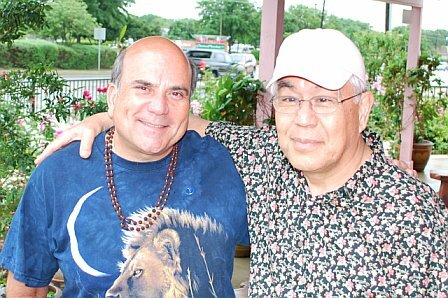 Zero Limits is a way to put the Law of Attraction to work in our life by using the ancient Hawaiian system of Ho’oponopono (Hooponopono). This method will help you clear the blocks that impede success and stop you from receiving that which you desire. It is one of the most powerful methods of spiritual development that I know of. The Secret of using Hooponopono as you’re about to uncover will transform your life: In will increase your confidence, enhance your love life, allow you to connect with those you really want to at a very deep level, increase your financial abundance, make peace with anyone – including yourself, and even sleep better at night! Once you’re in this heightened “state of vibration” you’ll be a match for whatever you desire to experience in your life. And that’s where “The Secret” behind “The Secret” and “The Law of Attraction” comes into play. What I’m about to show will literally blow your mind. Joe Vitale discovered it’s great power and brought it to the west so we could also make use of it’s timeless wisdom and practical results. It’s an extremely powerful method, that you can learn in a weekend and when you begin to apply it, your whole world will change. The way you want it to change! Well, just what is this method that can cause a crazy world to suddenly make sense and become extremely abundant and enjoyable? Zero Limits is the fastest way I’ve found to harness The Attractor Factor and attract all you desire into your life right now! It has been hidden from you, because of fear by those who believe that there is a limited supply of wealth in the world and when you apply this method, their wealth will diminish. It’s just not true. There is plenty to go around, and it is your birthright as it is mine! Many scientists and philosophers are now discovering the same thing because of the results they are seeing with their own eyes. I’m experiencing it as well. I’ve become very abundant, and things are really “clicking” for me as I apply this method daily. No more obstacles, no more limits! The method you’re about to discover is based upon the Hawaiian Spiritual, Mystical and Healing Tradition called Huna, and more specifically Hooponopono (Ho’oponopono). This is an extremely powerful system for clearing away all limits that have blocked people from their desires, happiness and fulfillment in all areas of life. It has been completely proven in the real world (Dr. Hew Len used it to clear an ENTIRE Hospital full of severely mentally deranged people into peaceful and happy people, many of whom have found personal prosperity and abundance, all of whom were completely healed!) How did he do this? How does this work? You’ll find the answer below and it’s easier than you think and it’s something that you have in your full control, when you are ready to take charge and do it now! I’ve got something really exciting to share with you! I’ve read, watched and studies the Law of Attraction and The Secret many times over,and I’ve actually found what bridges the gap – It’s a Hawaiian word called: Ho’oponopono and that will show you how to achieve, attract and experience all that you watched in The Secret and The Law of Attraction. It can be found in the book and the “how to do it” I’ve tried it and it works, in very big way! I’ve also watched the whole series with Dr. Len and Joe Vitale and it has made me a free person. I am much more at ease and things that I want flow easier to me, because I’ve learned to remove what was blocking them from appearing in my life, thanks to Zero Limits! “In only a few short hours watching and practicing what you’ll learn on these videos, you can learn how to attract miracles in your finances, relationships, health, career – or any other part of your life…GUARANTEED!